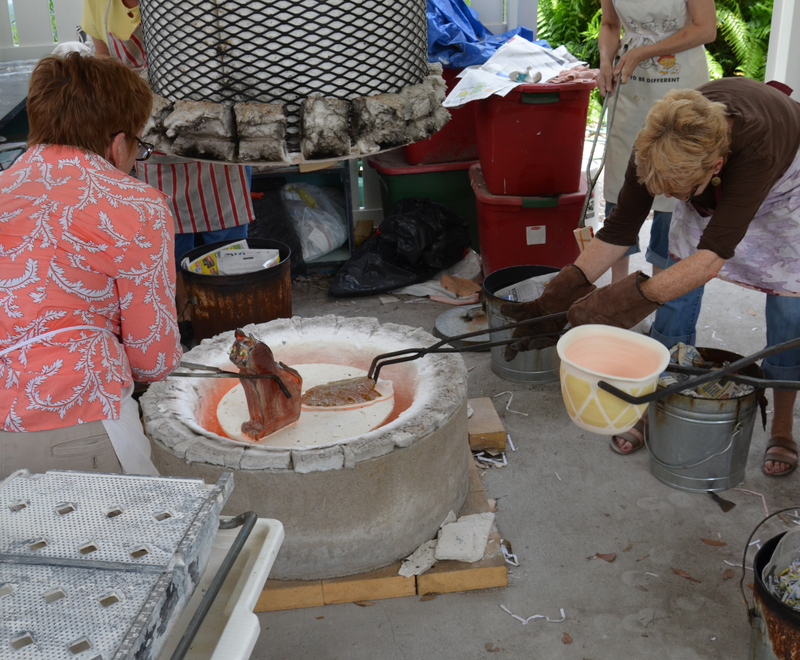 Students will learn about the raku firing process first by discussion. They will then apply glazes to pre-bisqued forms. Those pieces will then be fired and removed from the kiln by the student, smoked in metal containers to produce final colors and beautiful masterpieces. **NOTE: PLEASE WEAR CLOSED TOED SHOES. Cost: $48.00 Includes supplies, light snacks, wine or beer. Must be 21 or older.